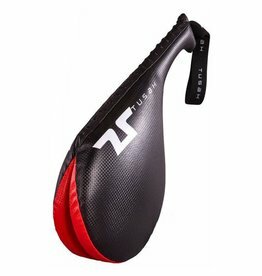 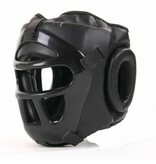 For those looking for a head guard that gives a bit more protection that the usual style. 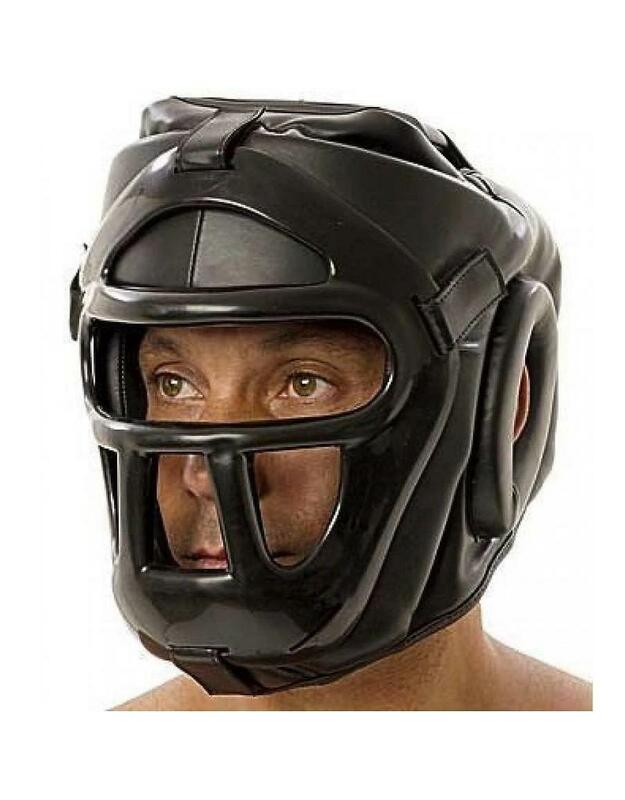 This is a great option. 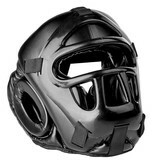 Usable in several different ways, the Head guard is a Full Face Head Guard, with an attachable face grill. 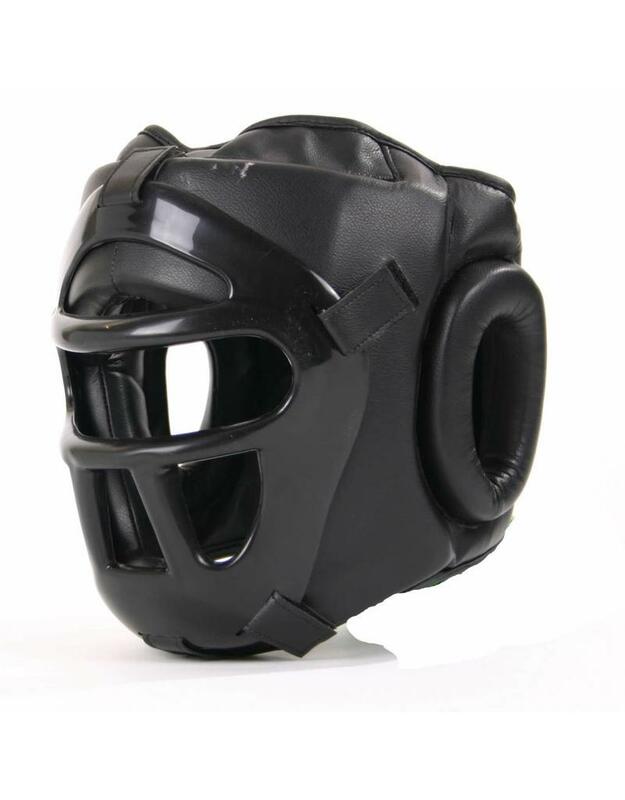 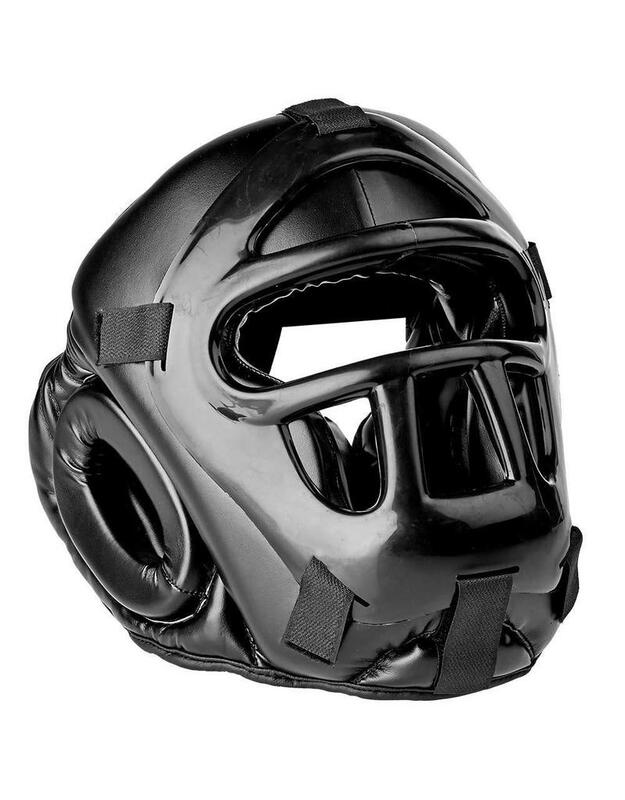 Perfect for boxing, kickboxing and self defence pressure testing, the head guard also works amazingly well for those wanting a bit more protection of the face especially the nose. 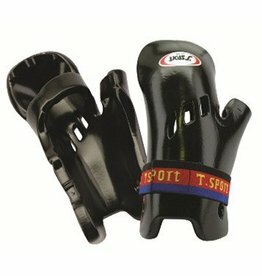 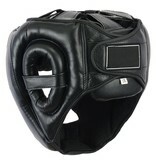 Due to the removable face grill, you can adjust your hea guard to your training needs. 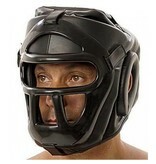 When needing more face protection you can simply add the grill or take it off when it’s not needed. 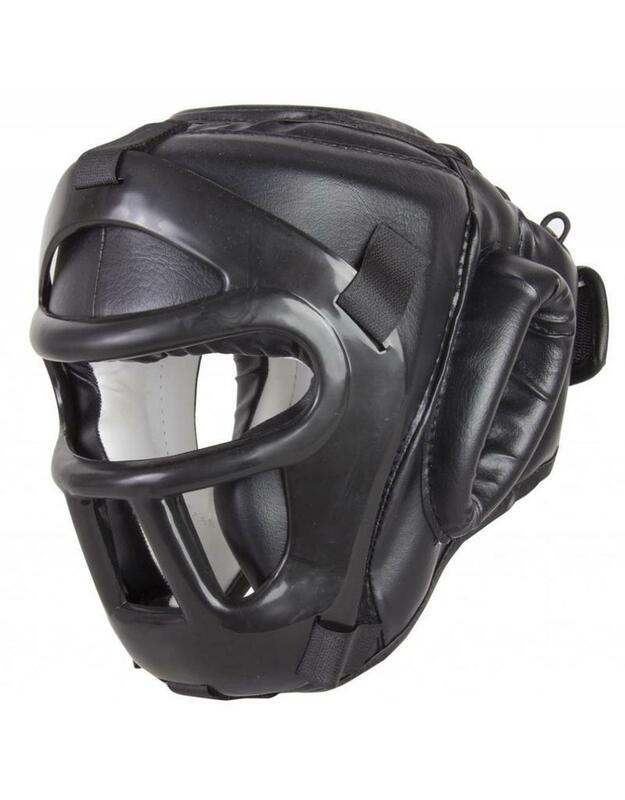 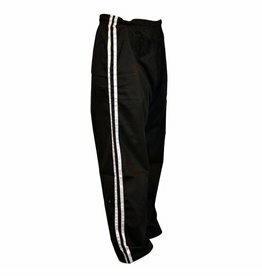 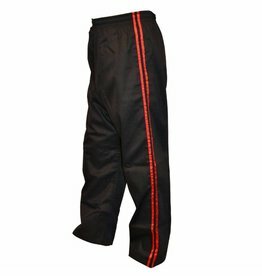 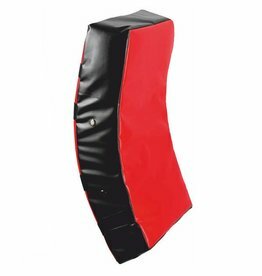 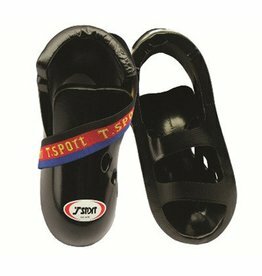 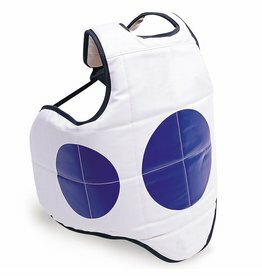 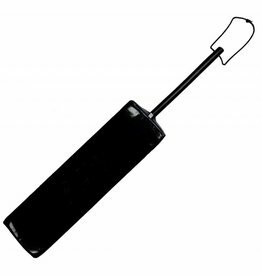 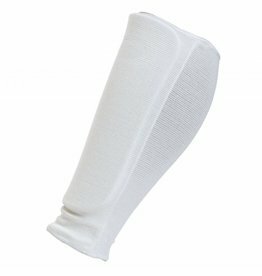 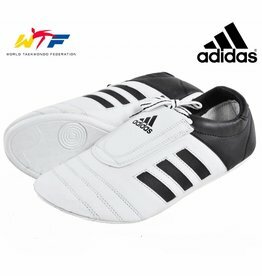 Made from a synthetic Leather, the head guard is lightweight and durable. 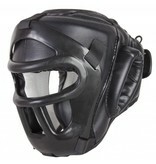 Built in air release channels within the foam protection allow impacts to dissipate around the head, reducing discomfort. 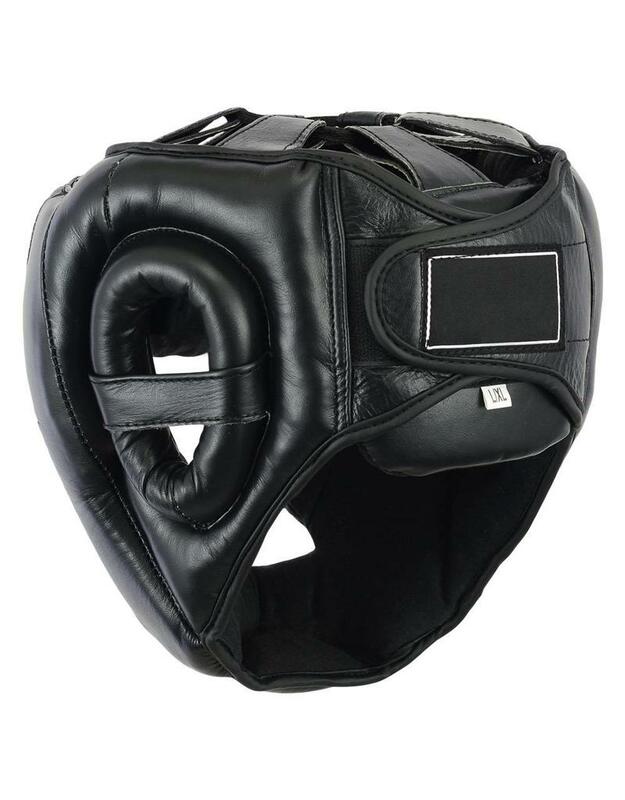 Good design allows the ear to be free to hear and and adjustable strap create a secure fit to your head and stops it moving around when training or fighting.